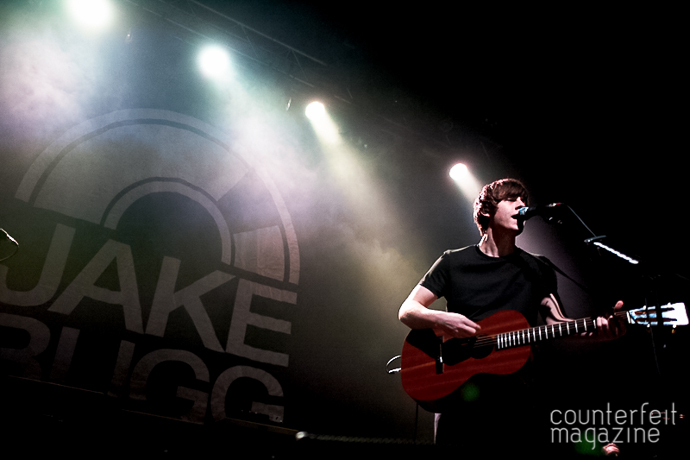 It had been a year since I last saw Jake Bugg perform live, at the O2 Academy in Leeds. 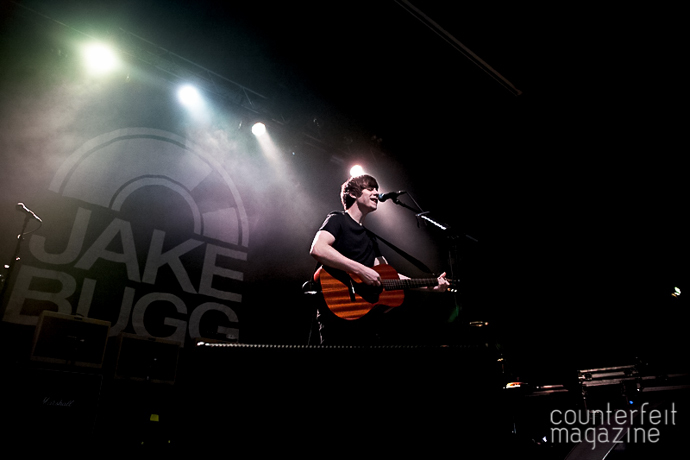 At the time, Bugg’s performance was a class act, but at the tender age of 18 and performing not longer after his debut album was only just finding its feet, there was still a bit of growing room. 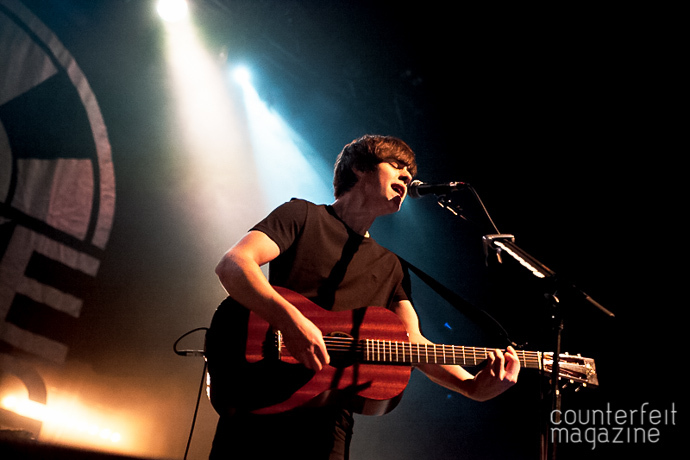 One year on and I was eagerly anticipating what Bugg would bring to the renowned Ritz. 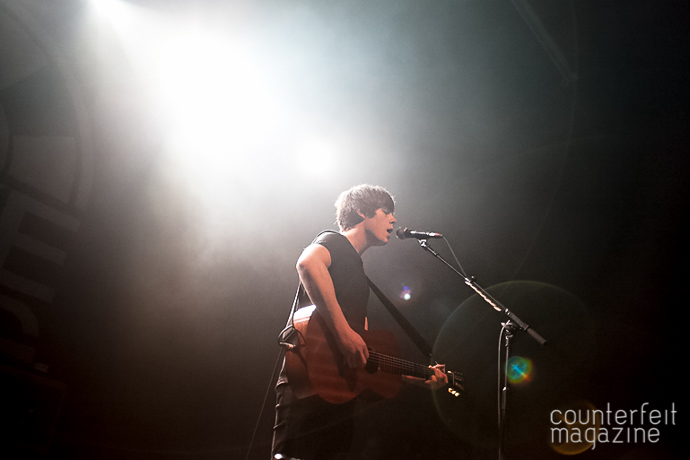 First on stage was Bugg’s support act, The Silver Palms. Hailing from Georiga, the American quartet warmed the crowd up nicely with their good old-fashioned rock & roll songs. The band’s demeanour and sound is not too distantly related to that of The Strokes; as they keep things simple with catchy guitar riffs here and energising drumming there, allowing Drury’s unhampered vocals to engage and excite the sold-out crowd. The set flowed mellifluously between cool and subtle to high energy songs. The finale, ‘Georgia Boy’ in particular was an audience favourite. 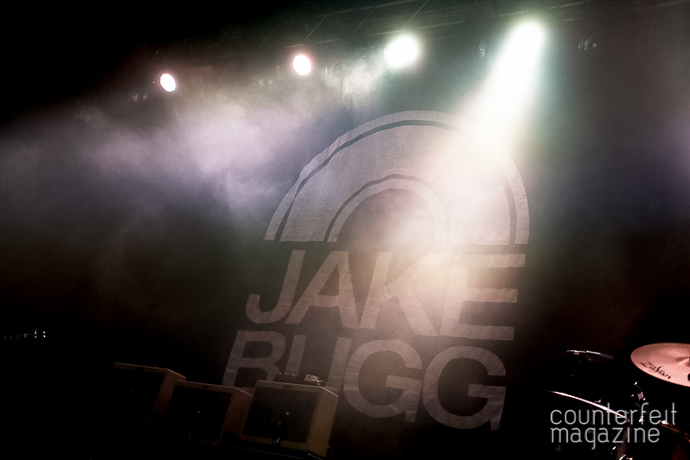 Arriving on stage promptly at 9 o clock, Jake Bugg was greeted by an incredibly loud reception. 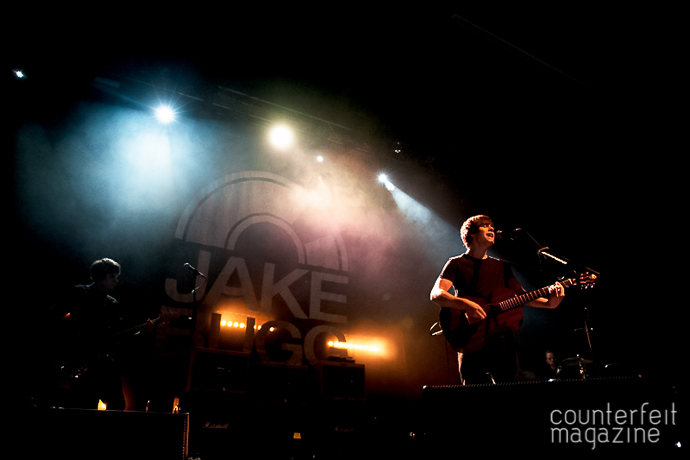 Before he even picked up his guitar and started playing, it was clear just how far this young lad from Nottingham had come within the space of a year. He now had two chart albums under his belt, the experience of touring extensively and had famous producer, Rick Rubin, on board to weave some magic into his second album, Shangri La. All this, and still he walked on to the stage in his usual black t-shirt and jeans. 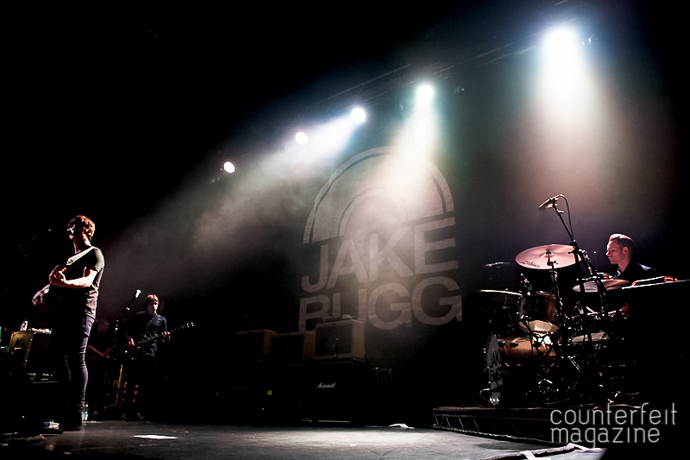 Bugg launched straight into the lively ‘There’s a Beast and We All Feed it.’ The opening track of Shangri La was met by a rapturous applause that set the tone for the whole night. 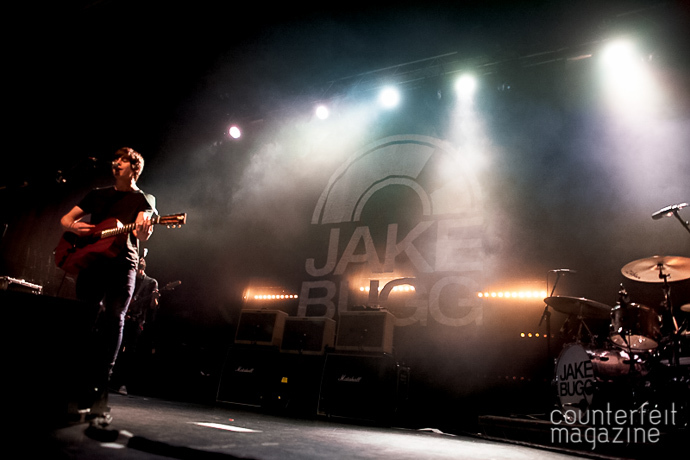 Bugg’s entire set bounced between songs from his first and second albums, as ‘Trouble Town’ and ‘Seen It All’ blasted through the venue with the audience shouting every word back to him. It became clear as the night went on that this was one of the best crowds I’ve ever been a part of. 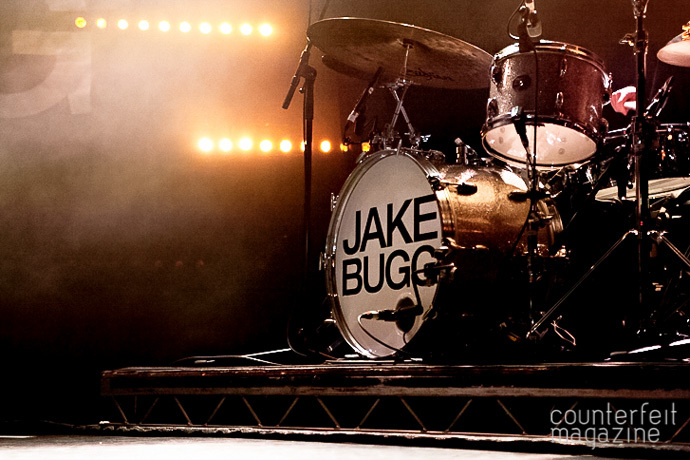 The Ballad of Mr Jones’ proved to be a massive spectacle as Bugg dominated the stage, before delving into the acoustic part of the set where ‘Pine Trees’ and ‘Broken’ were married together in an intimate, heart-felt performance. After taking a short interval, the band returned and played the newest single ‘A Song About Love’. A moment everyone gravitated towards and became an instant classic in the making. 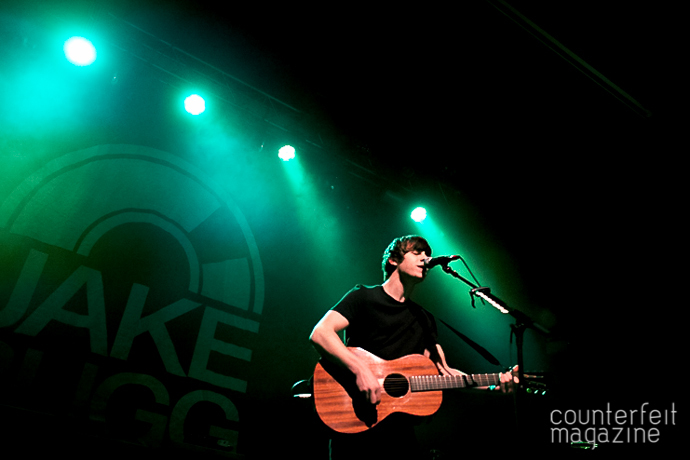 Before finishing up on his faultless performance, Bugg introduces Michael Kiwanuka, who Bugg supported on the very same stage three years ago. They both played ‘Tell Me A Tale’, one of Kiwanuka’s hits, before launching into the astounding finale, ‘Lightning Bolt’.